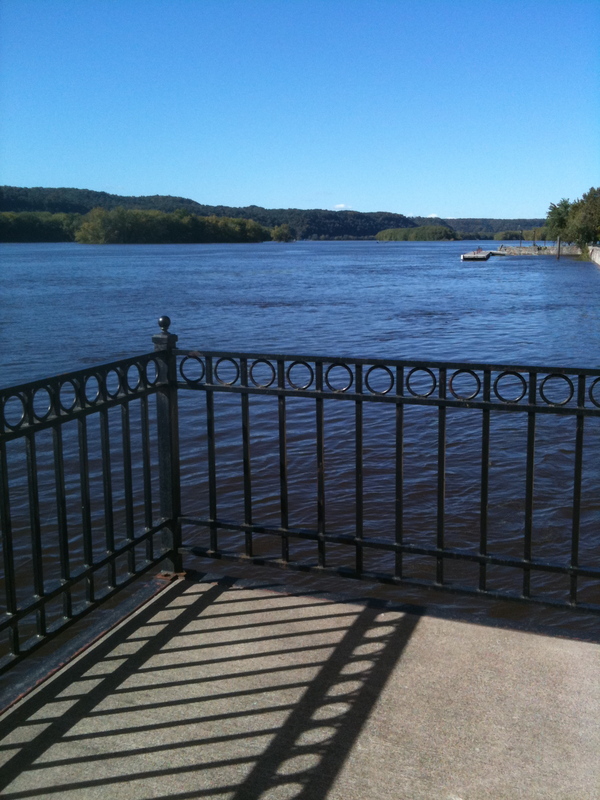 I grew up in a small Wisconsin town along the Mississippi River. I visited my parents last fall and one morning my Dad and I rode our bikes to the riverfront park. We’d heard the river was rising and wanted to see for ourselves. It was. The next day it was over the banks and covering a road or two. A week later things were back to normal. There’s flooding almost every year but some are worse than others. I’ve heard the river is on the rise again.